Beautiful provincial hutch in distressed black finish. Solid wood. Dovetail drawers and scalloped bottom. Original Hardware. This is such a gorgeous piece! I would love to have this in my house. I love the color of this piece! You did such an amazing job! SO Pretty, the finish looks amazing! I adore this piece as well! WoW! I love this one. 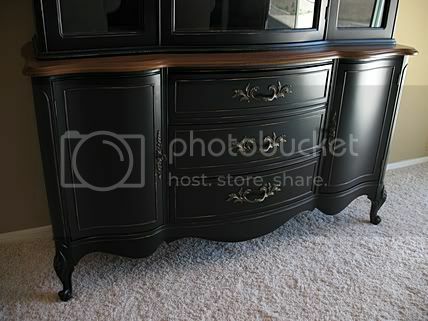 I love furniture in this style painted black. The black just makes the natural wood that’s left unpainted and the distressing pop! Perfect!! 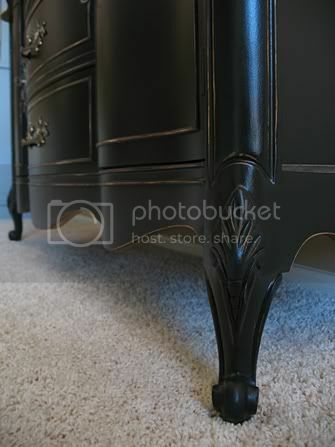 love the wood with the black- it is classic! Mmmmmm, very nice. It’s so stately. I love it. Just joined your site. What a gorgeous piece. So elegant in black! Gorgeous. The details in the wood pop with the black finish. Thank you for linking to Wicked Awesome Wednesday! You do beautiful work! Thanks for sharing. Wow! Another beautiful piece. Nice job! 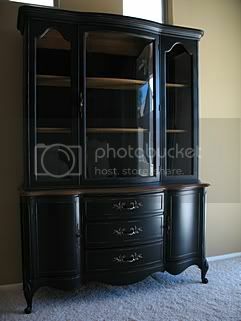 Thanks for sharing this beautiful hutch at my Open House party. I can see why it has already sold. I’m working on a faux french table right now in black, this beauty sure would add to the room. Its beautiful, thanks for sharing. That is beautiful! Did you paint with Satin or semi-gloss? A beautiful piece! I love all of the curves, colors, contrast, yummy! Wow, love the lines and color of this piece! It is a beauty. Love the finish on it. 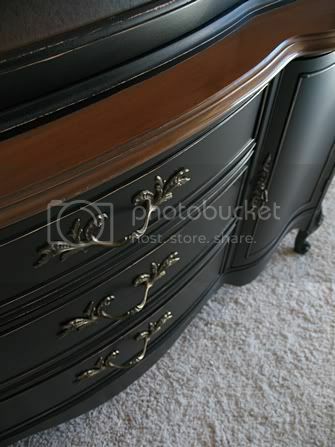 Usually I becry & fume when I see a piece of lovely wooden furniture painted over. However this piece deserves accolades for your heart stoppingly gorgeous restoration. A Standing O for your work. I’m not sure i’ve seen one of these in black before, I’m loving it! 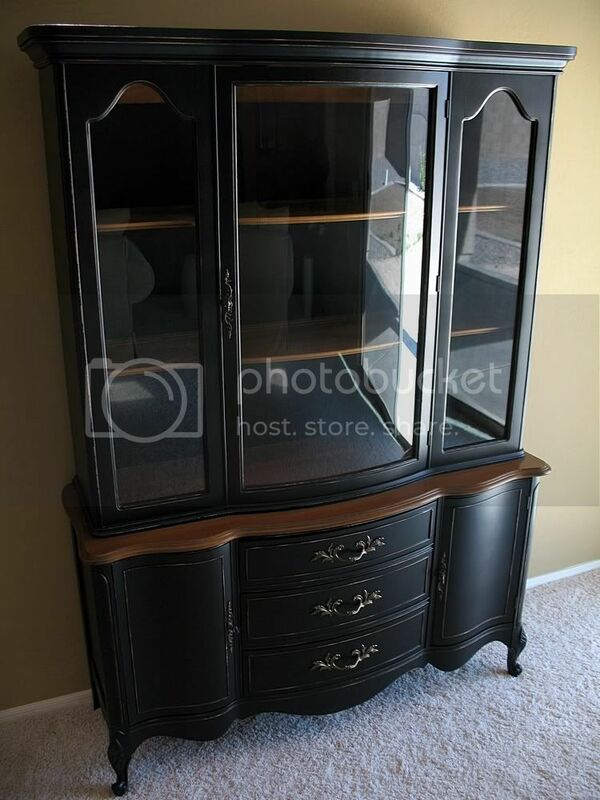 I own this same exact cabinet and was thinking of painting it black but wasn’t sure. Now I know what it looks like and I will start painting it this week!